Military observers with the Russian Federation, left, and Serbia, center, watch a demonstration during Exercise Trident Juncutre 2018. 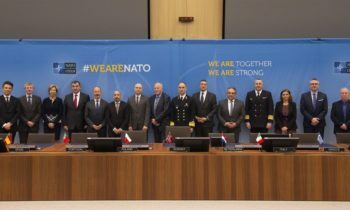 Both Russia and Serbia are members of the Organization for Security and Cooperation in Europe, and they observed Trident Juncture at the invitation of NATO. Observers from member nations of the Organization for Security and Cooperation in Europe (OSCE) are witnessing NATO’s largest military exercise since the end of the Cold War, Trident Juncture 2018, which is currently taking place in Norway. Trident Juncture 2018, involving 50,000 troops from more than 30 nations, will certify the NATO Response Force for 2019. Under the OSCE Vienna Document on military transparency, exercises must be notified to OSCE member states 42 days in advance if exceeding 9,000 troops, and observation is required starting at 13,000 troops. 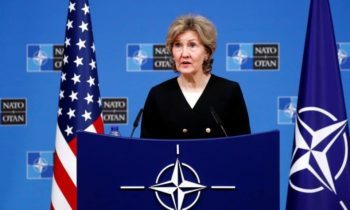 “All members of the Organisation for Security and Cooperation in Europe have been invited to send observers to the exercise, because NATO Allies respect the letter and the spirit of our international commitments. 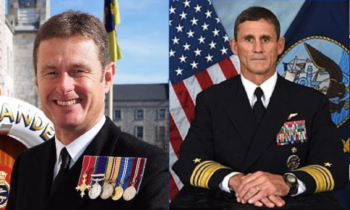 So Trident Juncture is not only a great example of NATO’s strength, but also of NATO’s transparency,” said the NATO Secretary General Jens Stoltenberg. Observers are provided with briefings on the exercise, opportunities to observe forces and speak to troops, and aerial overflight of the area of military activity. Twenty observers from thirteen OSCE countries – Austria, Belarus, Canada, the Czech Republic, Germany, Finland, the UK, the Netherlands, Serbia, Russia, Sweden, Ukraine and the United States – also participated in the exercise’s Distinguished Visitor’s Day on Tuesday (30 October 2018). In a separate programme, NATO has invited observers from partner nations to the exercise, including Sweden, New Zealand, Serbia, Azerbaijan, United Arab Emirates, Algeria and Switzerland. NATO strongly supports efforts to build confidence and transparency on military activities and exercises. International rules on military exercises are respected in full, and NATO regularly updates its schedule of military exercises online.